1,111 pages of letters, papers, memoirs, histories, and photos related to Rose O'Neal Greenhow. Rose O'Neal Greenhow (1817-1864) was a popular socialite in Washington, DC, and a spy for the South during the Civil War. Her nicknames were Wild Rose and Rebel Rose. She was born in Port Tobacco, Maryland, in 1817. Her father, John O'Neal, was a planter and was murdered when Greenhow was an infant. Around 1830, she moved into a boarding house owned by her aunt Mrs. A. V. Hill, at the Old Capitol building in Washington, DC. There she met many politicians who also boarded there. Greenhow was a popular belle known for her beauty, charm, and wit. In 1835 she married Dr. Robert Greenhow, who was librarian and chief translator of the Department of State from 1831-1850. She had four daughters, Florence, Gertrude, Leila, and Rose. Because of her husband's status during the 1850s in Washington, DC, Greenhow became a popular socialite and hostess and counted many political figures among her social circle. Her friends included President James Buchanan, South Carolina Senator John C. Calhoun, who privately tutored her. Calhoun played a major role in shaping Greenhow's dedication to the South. She nursed Calhoun on his deathbed. Dr. Robert Greenhow's work brought him to California during the 1850s, and he died there in 1854. As a widow Greenhow's social influence in the nation's capital continued to grow. Once the Civil War began Greenhow overheard and collected war secrets from her friends and acquaintances. Her admirers included Senator Henry Wilson, then chairman of the Committee on Military Affairs, and Senator Joseph Lane of Oregon. A passionate secessionist and Southern sympathizer, Greenhow was recruited as a spy for the South by U.S. Army officer Thomas Jordan, who soon left the Union to join the Southern forces. Jordan provided her with a 26-symbol cipher for encoding messages. Greenhow enthusiastically pursued her mission, passing encoded messages to the Confederates and running a spy ring in Washington, DC. Confederate President Jefferson Davis, along with some biographers and historians, credited her with providing the South with information that led to the Confederacy's victory at the First Battle of Bull Run. She provided the Confederates with intelligence about Brig. Gen. Irvin McDowell's advance in time for Brig. Gen. Joseph E. Johnston and Brig. Gen. Pierre G. T. Beauregard's troops to unite and defeat the Union forces on July 21, 1861. A young woman working with Greenhow named Betty Duvall carried the message wrapped in a tiny black silk purse and wound up in a bun of her hair. Some believe that historians and writers have overestimated the value of Greenhow's spying for the South. They argue that except for confirming that General Irvin McDowell was moving his troops to Manassas, which gave General P. G. Beauregard the time he needed to prepare for battle, Greenhow's espionage activities were of little value to the Southern cause. Much of her information was obtained by having people walk around Washington, D.C. and report to her what they saw. They say she did have one "knowledgeable" source, Senator Henry Wilson, who chaired the Senate's Military Affairs Committee. He was reportedly her lover. 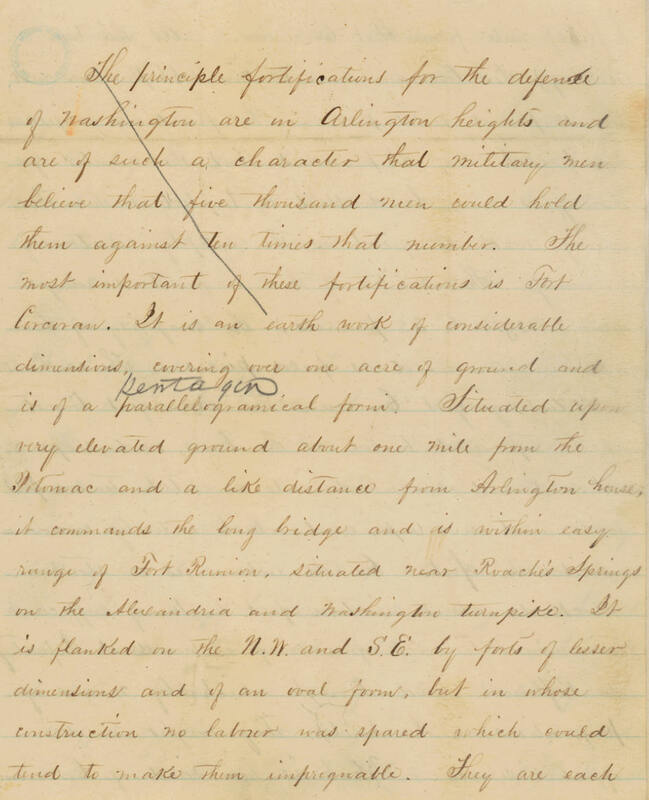 The papers seized by Pinkerton include a number of "love letters" from Wilson. They believe it is doubtful that he provided any important military or political information to her. Head of U.S. Intelligence Service Allan Pinkerton observed Rose Greenhow as part of his counterintelligence activities and found sufficient evidence to place her under arrest. Greenhow claimed she knew she was under surveillance but had defiantly continued her spying activities. On August 23, Pinkerton, captured Greenhow. A search of her house revealed letters from friends, family, and lovers; encoded messages; notes on military movements; and singed scraps of writing found in Greenhow's stove that she had attempted to destroy. Although Greenhow used a code to write portions of her reports, she also left a copy of one of the plain-text messages, which allowed Pinkerton to decipher her coded messages. The documents were seized and are now held by the National Archives. She was first imprisoned in her own home at 16th and H Streets, NW, where the Hay-Adams Hotel now stands. After her arrest she continued to send messages to her Confederate handler, Thomas Jordan, who was General Beauregard's adjutant. Because she continued her clandestine activities during her home confinement, in January 1862 she and her daughter "Little Rose" Greenhow were transferred to the Old Capitol Prison, which was in the same building her aunt had previously run as a boarding house, which stood where the Supreme Court building now sits. 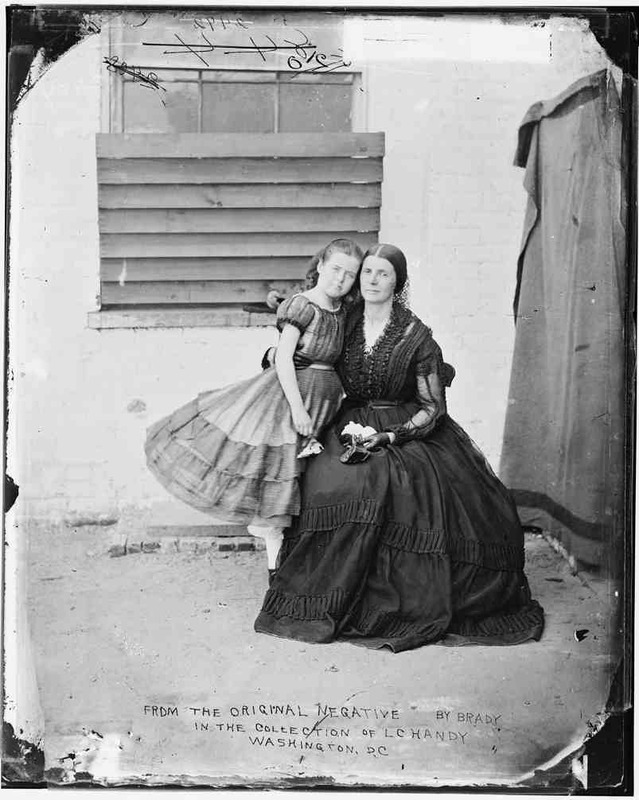 Her daughter Little Rose stayed with her in prison, and a photographer from Mathew Brady's studio photographed the mother and daughter together. She continued her spying activities and cryptic message writing during her imprisonment. Historians often cite this fact to prove Greenhow's resourcefulness. However modern counterintelligence analysts see the opposite. They see Pinkerton as resourceful. Pinkerton kept an airtight watch on Greenhow, allowing only a few visitors to see her, and punishing any of the guards who failed to inspect anything leaving the house. They cite that the Confederates no longer trusted any information she sent to them. In March 1862, Rose Greenhow was given a hearing on the charge of espionage. However she was not placed on trial. In May 1862, the Union decided to deport Greenhow to the South. She was released on 1 June 1862 and taken through the Union lines to Richmond, Virginia, where she resided for a short time. Residents of Richmond welcomed her warmly. 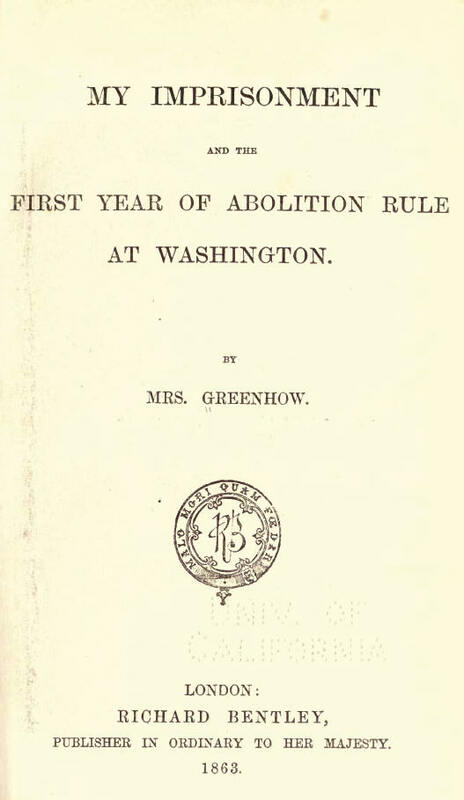 While in Richmond, she wrote a book, "My Imprisonment and the First Year of Abolition Rule in Washington". In August 1863 Rose Greenhow ran the blockade to travel to England and France, where she served as an official courier for Confederate President Jefferson Davis and promoted the South's cause to British and French aristocrats. There was much sympathy for the South among European aristocrats. While in France, Greenhow was received in the court of Napoleon III at the Tuileries. In Britain, she had an audience with Queen Victoria and became engaged to Granville Leveson-Gower, 2nd Earl Granville. While in Europe she published, "My Imprisonment and the First Year of Abolition Rule at Washington." That same year she embarked on a return trip to the South on the blockade runner the Condor, carrying secret dispatches for the Confederates. Off the coast near Wilmington, North Carolina, the ship encountered Union forces and ran aground. Afraid of being captured and re-imprisoned, Greenhow requested to be placed in a smaller boat to try to make it ashore. Her rowboat capsized in the stormy weather, and Greenhow drowned on October 1, 1864. The popular story is that she was forced under by the weight of the $2,000 in gold she carried, her memoir royalties. Her body was found washed up on the shore by a Confederate soldier. In October 1864, the Confederate government gave Greenhow a full military burial in Oakdale Cemetery, Wilmington, North Carolina. Her epitaph reads, "Mrs. Rose O'N. Greenhow, a bearer of dispatches to the Confederate Government." 647 pages of Greenhow letters, papers, and Pinkerton file notes. This series contains letters seized on August 23, 1861 at the time of the arrest of Mrs. Rose O'Neal Greenhow as a spy for the Confederacy. Some of these letters are fragments found in a stove in which Mrs. Greenhow had presumably tried to burn them. They relate to military and other topics of the day and contain enclosures such as the plans of defense and fortifications of Washington, the plan of organization of the Union Army, and news of Union Army operations. Also included are references to positions within the military, as well as nominations and recommendations of Army officers and soldiers. Some letters also relate to personal matters and mention prominent members of society. Letters from James Buchanan to Mrs. Rose O'Neal Greenhow. A letter from George H. Lee concerning his appointment to the Supreme Court. Letters sent by John C. Breckinridge. A letter from Florence Moore to her mother Rose Greenhow telling her that she hears of ladies being arrested as spies and urges her mother to stay away from secessionists. A letter from G. Donnellan to Mrs. Greenhow, concerning communication and exchange of information. A list of names of persons thought to be traitors. Love letters from Senator Henry Wilson, chairman of the Senate's Military Affairs Committee. Description of defense and fortifications around Washington. William L. Yancey, journalist, politician, orator, diplomat and an American leader of the Southern secession movement. 35 photographs and illustrations related to Greenhow. Includes 4 images of Rose O'Neil Greenhow and 4 images of the Old Capitol Prison. 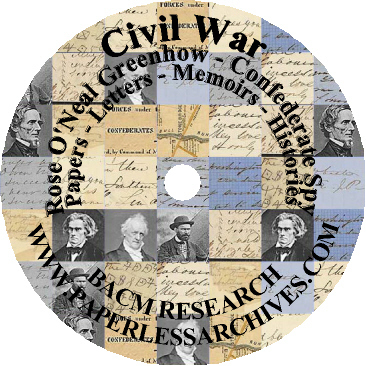 Includes photos of individuals connected to Greenhow: Allan Pinkerton, James Buchanan, John C. Calhoun, John C. Breckinridge, William H. Seward, Joe Lane, Henry Wilson, John Hutchins, and Edward D. Townsend. 4 pages excerpted from the 1966 CIA Studies in Intelligence Volume 10 Issue 3, covering Greenhow. Sherman Kent of the CIA created Studies in Intelligence in 1955 as a journal for intelligence professionals. A digital facsimile of an 1863 printed copy of Greenhow's 373 page memoir, "My Imprisonment and the First Year of Abolition Rule at Washington." George S. Bryan wrote in his book The Spy in America, that Greenhow's memoir was "egocentric, spiteful, [and] unreliable." Greenhow in her memoir clearly establishes her motives for the great risks she took to provide whatever intelligence she could to the Confederacy. Greenhow's memoir establishes a period focal point concerning the racial class system, the role of women, Southern nationalism, and Confederate identity. A 25 page excerpt from Allan Pinkerton's book,"The Spy of the Rebellion." In this chapter Pinkerton gives his account of the surveillance, arrest, and investigation of Greenhow. Office of the National Counterintelligence Executive. The ONCIX is part of the Office of the Director of National Intelligence and is staffed by senior counterintelligence (CI) and other specialists from across the national intelligence and security communities. After the National Counterintelligence Center designed and conducted several iterations of a seminar on The Evolution of American Counterintelligence, it decided to produce a three volume reader to complement the lectures on counterintelligence. Chapter 2 of Volume I, "The Civil War: Lack of a Centralized Direction" looks at counterintelligence during the Civil War. The individuals covered include Union Counterintelligence chiefs: William H Seward, Allan Pinkerton, Lafayette Baker, and Henry Beebee Carrington. Spies: Belle Boyd, Spencer Kellogg Brown, Rose O'Neil Greenhow, C. Lorain Ruggles, Henry Bascom Smith, Felix Grundy Stidger, Benjamin Franklin Stringfellow, and Elizabeth Van Lew.